Emma Bunton has brushed off rumours of a rift between the Spice Girls following Melanie Brown’s absence from rehearsals for their tour. 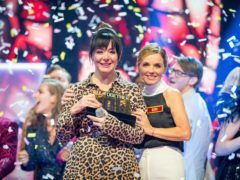 All Together Now’s winner has said it would be “amazing” if host Geri Horner could give her away – as she plans to spend the £50,000 prize money on getting married. 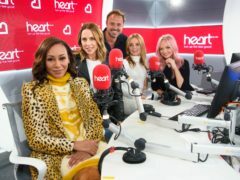 Emma Bunton has said that her Spice Girls co-star Melanie Brown’s claims that she and Geri Horner had a one-night stand should be taken “with a pinch of salt”. Geri Horner has given fans a peek at her rehearsals for the Spice Girls reunion tour. Geri Horner has said the Spice Girls had the power to “unite the world” with their performances. Geri Horner has hailed the Prince Of Wales as a “Spice Boy” and said the whole nation should be proud of the royal. 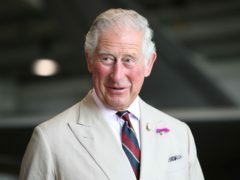 The Prince of Wales will today meet ambassadors of The Prince’s Trust at a fundraising event attended by members of the Spice Girls and diver Tom Daley. Little Mix star Jesy Nelson donned a Union Jack dress as she paid tribute to her “idol” Geri Horner. Geri Horner has said she would not want to be a contestant on singing game show All Together Now in case her vocals did not impress the judges. The Spice Girls are in talks with Glastonbury organisers over playing at the festival, it has been reported. 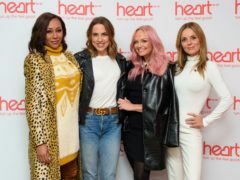 Geri Horner was teased by her bandmates over her romance with Chris Evans as the Spice Girls dropped in to his Radio 2 show to plug their reunion tour. The Spice Girls will return for their first tour in a decade, although as a four-piece without Victoria Beckham. Emma Bunton has said she is “so excited” ahead of a Spice Girls announcement, which she said will happen on Monday afternoon. The Spice Girls are reportedly set to reveal they are reuniting for a UK stadium tour in 2019 – but without Victoria Beckham. A star-studded documentary will celebrate the charitable work of the Prince of Wales to mark his 70th birthday. Geri Horner says the mystique has gone from today’s pop stars due to social media. Geri Horner says it is “up to the universe” whether she has more children. Geri Horner has signed up for a second series of Saturday night show All Together Now. Andy Murray sings “wanna make love to ya baby” to Geri Horner in an “awkward moment” – after she crashes his hotel room in the middle of the night. Geri Horner has said the Spice Girls are putting “all the possibilities out there” for their reunion – and that boys need some of their famous Girl Power. Geri Horner has said she had lost all hope of a Spice Girls reunion ever happening. The Spice Girls have confirmed plans to work together again on new projects. Spice Girls star Melanie Brown has praised the other members of the band for helping her become “who I am” after the quintet met for a reunion as they appeared to confirm plans to reform. The Spice Girls have met for a reunion as they appeared to confirm plans to reform. Viewers of a new Saturday night singing contest starring Geri Horner have joked that the set design reminds them of The Muppet Show. 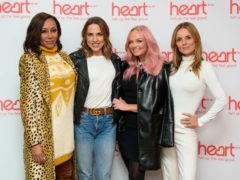 Geri Horner denied that she was “throwing shade” at her former Spice Girls bandmates during an interview on Good Morning Britain. Former Spice Girl Geri Horner has ruled out starring in Strictly Come Dancing.